Congratulations to our Queensland Health CHIAs! 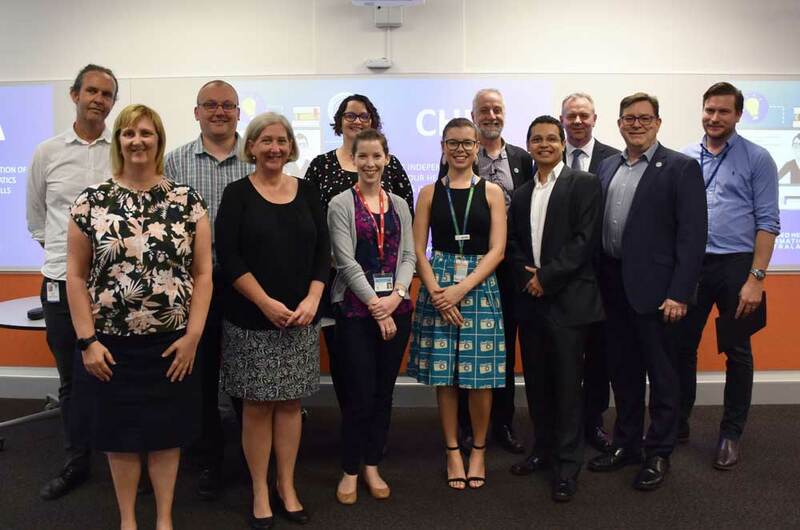 - CHIA "
Queensland Health has another round of accredited health informaticians under the CHIA program. Some of the 30 newly graduated CHIAs met in Brisbane to celebrate last week. Congratulations everyone! The CHIA program now has 400+ graduates nationally. To get your organisation involved email us for a discussion around how to get started on the program. CHIA (Certified Health Informatician Australasia) is a unique credentialing program in health informatics, and is collaboration of HISA, ACHI and HIMAA. CHIA formally recognises the knowledge and skills for those working in health informatics and e-health. Once certified, a CHIA can demonstrate they have broad expertise in health informatics principles, concepts, methods and skills, and the ability to apply these in the workplace. From left: Ruben Daniels (Saludax), Greg Moran, Christine Coleshill (Queensland Health), Peta Gordon (Queensland Health), Desiree McNeile McCormick and David O’Driscoll.